The ranking system isn’t as complex as it seems. 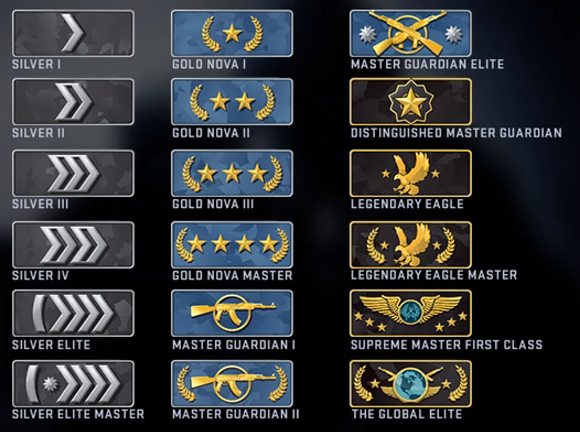 Whether you’re a swimming with the silvers or gliding with the globals, CS:GO’s ranking system is a great way to gauge your skill in comparison to other players in competitive matchmaking. Counter-Strike’s competitive ranks range from the noobs to the elite like other esports games. And you can expect a roller-coaster of emotions for as long as you play it. You can feel the gaming high after ranking up. You can feel the disdain for the game after deranking. The noobs can hurt your head with ignorance. The elite can tilt you into tantrums with their talent. 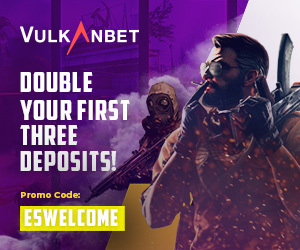 No matter what your rank is or how good other players in your matches are, two things are certain: you’ll want to invest some time into getting better at the game and improving your rank for a more CS:GO enjoyable experience. If you’re a noob to Counter-Strike: Global Offensive, you may need to set aside some time to earn your stripes. The level system ranges from 1 to 40, and is only used as a rewarding system for receiving cosmetic skin drops and service medals. Once you’ve played enough, those medals change color for every 40 times you rank up in a given year—like a prestige in Call of Duty. To unlock competitive Matchmaking, you must first reach level two by playing any of the game modes created by Valve: Casual, Arms Race, Demolition, and/or Deathmatch. Attaining level two will grant you access to Matchmaking, where CS:GO’s finest are found. Your rank won’t show until you’ve won 10 competitive matches. You’ll be placed in mixed games with players from various ranks, but generally players are initiated in the lower tiers until at least halfway into their placement progress. Since you’re playing on a new account, you’ll be restricted to two competitive wins per day until you reach your 10th. Valve implemented this to combat the use of smurfs by higher-ranked players, but it still doesn’t stop them from smurfing. Assuming that you’re able to reach two wins per day, your rank should be given to you on the fifth day of playing in Matchmaking. Once you’ve won 10 competitive matches, your skill group will finally appear under your 10th in-game scoreboard. Once you’ve earned your stripes, your rank will be displayed under your username at the start-up screen and to the right of your username on match scoreboards. You can only see your teammates ranks if you are in a party with them. So what are the ranks? Players classify the ranks into tiers. Generally, players exhibit the same behaviors as other players in their ranks, with some exceptions. For instance, MGs are typically familiar with the economy system for the first four rounds, so minimal team communication is required. “Silvers” are at the bottom of the food chain; it’s the rank where players are total beginners, and there’s little to no strategy involved in gameplay. This range of ranks are where “smurfs” (higher ranked players on alternate accounts) are commonly found. Escaping the silver division is extremely challenging for newer players because of smurfs. “Novas” sit in the middle of the bell curve as they’re beginning to learn more and more about the game, such as economy, spray patterns, smokes, pop-flashes, etc. The upper nova ranks act as the true checkpoint for being above-average. Players who are “all aim and no brain” are most commonly found in Nova, meaning that they can aim their gun and kill enemies, but they lack the game sense to improve. If you have “Master Guardian” in your rank, players are generally more advanced. They already have knowledge of sprays, economic buy trends, site execution with utility, and retake coordination. Moving up anywhere past the MG ranks requires perfecting your skills, learning from your mistakes, and making incremental changes to your playstyle for improvement. Anything above DMG (LE through GE) is where the elite of Counter-Strike reside. These guys are really, really good at finding ways to kill you. As you move up the ranks, players will have a greater knowledge of the game, and at points it may seem as though they’re cheating. It’s extremely easy to fall into this perception. Don’t let this discourage you. Use this as motivation to become better at the game. Improving your rank is pretty rudimentary: if you win enough games, then you rank up. Losing games will derank you. 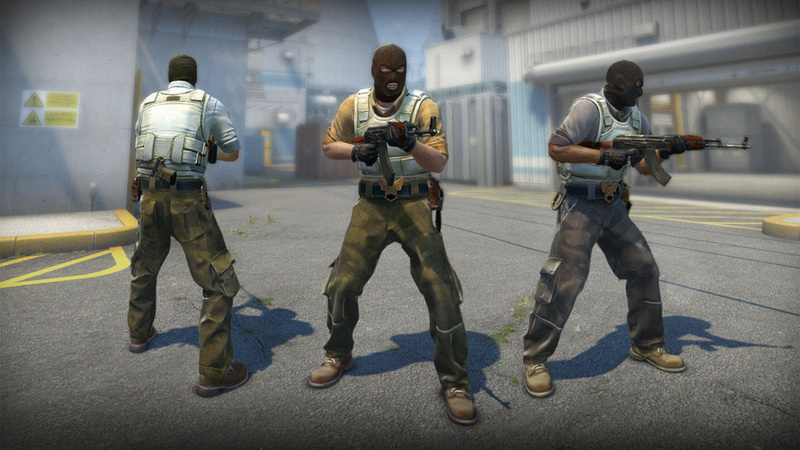 CS:GO follows a modified Glicko-2 ranking system, according to Valve. Essentially, this algorithm evaluates a player’s skill pool based on their round influence, and whether their team wins the round. Factors such as kills, deaths, MVPs, assists, damage given, and bomb plants all affect a hidden numerical value that determines your place within a rank. A general in-game model to follow would be to play for the round win and not for kills. The amount of kills you have doesn’t matter as much if your team is consistently losing. Those kills only play as a long-term role in preventing you from deranking. How do you efficiently rank up? The best way to rank up in a short period of time is to play with players who share the same goal. Players who queue with other serious players are more likely to win more rounds and even the match than five players that are solo-queued. The best way for finding other serious players is to befriend other passionate players in community servers or on third-party sites. I’d strongly recommend that you don’t solo queue if you’re serious about your rank because you run the risk of encountering griefers (players who intentionally lose the match) or players who don’t care if you win. Solo queuing is associated with deranking due to the variable competitiveness of players. Your rank isn’t everything. It’s just an arbitrary name that defines how other players perceive you. If you focus on becoming better at Counter-Strike rather than winning, then ranking up becomes seamless.